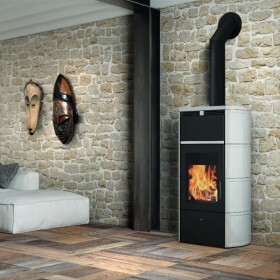 Wood stoves There are 7 products. 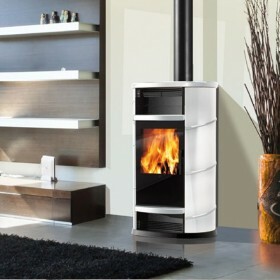 Stove Dafne Oven 7,2 kW. 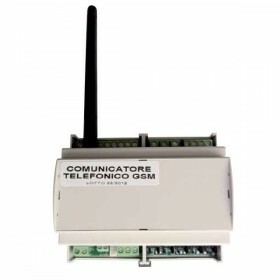 Heating surface 185 m³. Efficiency 71,8 %. Rustic ceramic stove with steel structure and cast iron hearth. Enamelled cast iron front and top with practical removable rings for heating food. BY ORDER, 2-3 weeks. 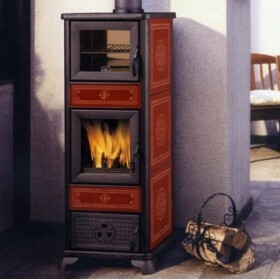 Wood stove with door in glass, covered in ceramic with spiral decoration, in 3-colours cream white, red or leather ceramic top and inserts. BY ORDER, 2-3 weeks. 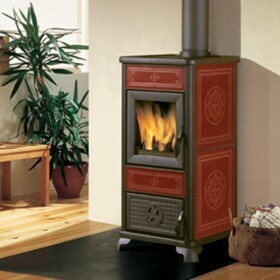 Wood burning stove. Wide glass vertical to emphasise the flame. BY ORDER, 2-3 weeks. 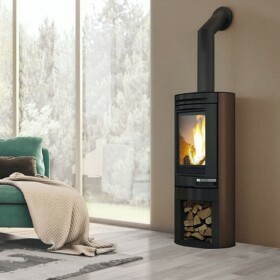 Wood burning thermo-stove Flamma. 23,6 kW. Köetav maht 615 m3. Kasutegur 84,6 %. Wide glass to emphasise the flame. BY ORDER, 2-3 weeks.